This is different and in many ways so much better - To make the most of your visit to Fairy Glen – one needs to understand more about this Lodge. At Fairy Glen as a Game Lodge you will experience a very intimate encounter. This doesn't mean you go up and pet the Animals – it means you will get close – so close that you will, without doubt, get great photos. The animals have stories – which you will hear – and this brings the experience closer to your heart. Although we have the Big 5 - please understand that the mountain Leopards roam free in the mountains at Fairy Glen, is rare to see, and usually only at night. Situated outside Worcester, with an awesome view of the mountains. If you stay over with us, you will hear the lions roar in the evening and early morning, an experience you will never forget as long as you live. Don't forget to walk up to the Dam wall - a very comfortable walk and worth seeing. Fairy Glen is committed to improving the reserve as well as your experience. Whatever you need or want to know – just ask. If you visit Cape Town, this is the perfect place to stop or stay over and eventually leave with nothing but beautiful memories. Fairy Glen, a little piece of heaven, is a family owned business just over an hour from Cape Town, and is set at the foot of the famous Brandwacht Mountains, in a peaceful rustic environment surrounded by Cape Fynbos and waterfalls. 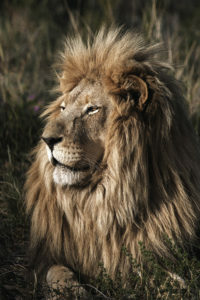 The late Pieter De Jager, with his passion for the protection of wildlife, started the game reserve to give a home to various species over the years. Despite so much opposition to keeping elephants - he managed to save two bulls from being killed and brought them at great cost to Fairy Glen. Both bulls cruise along nicely with their full time guards, to ensure they don't venture onto neighbouring vineyards, which would no doubt end up in a disaster and drunk elephants. Fairy Glen - your own National Geographic experience.